when i think about St. Patrick's Day i see four leaf clovers, leprechauns, and rainbows with pots of gold. 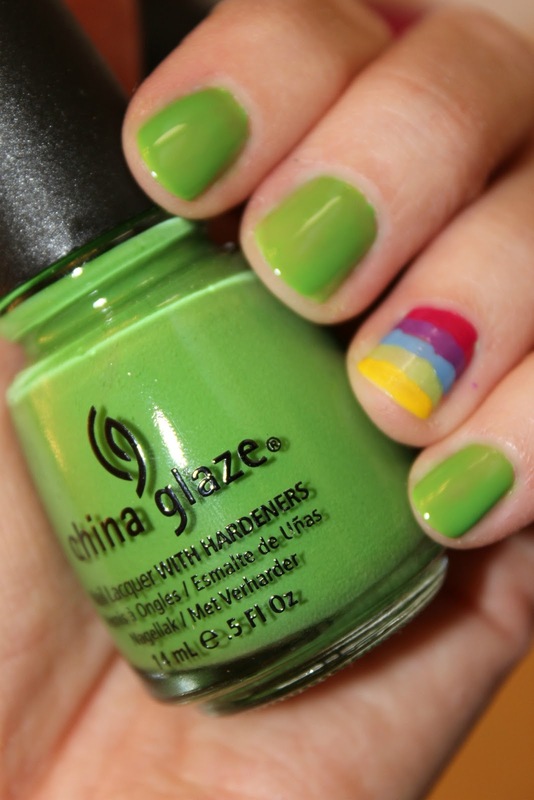 how about a nail tutorial that embraces St. Patrick's Day and all its green glory? finish by painting the remaining nails your shade of green. enjoy your rainbow accent! looks cute. Love the rainbow! Love the colors! Especially the green one.